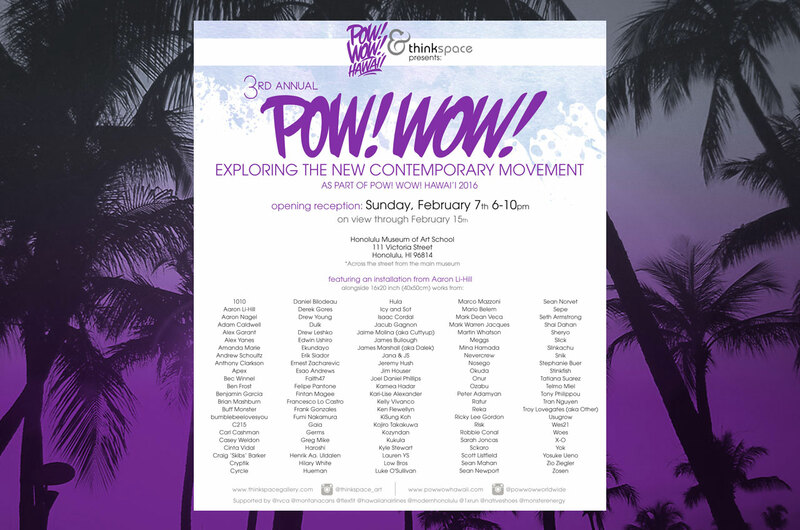 The 3rd annual ‘POW! WOW! Exploring The New Contemporary Movement’ as part of POW! WOW! Hawaii 2016 from February 6th to February 13th. Opening Reception is on Sunday, February 7th 6-10PM and will be on view through February 15th.